Automatic coffee machine is just a blessing for today’s world. It is perfect for our busy lives. What can be more important to you than a perfect cup of coffee to pick you up in the morning and afternoon? Even more, sometimes a steaming, hot savory cup of coffee is just enough for a perfect day. Likewise, it can entertain your guest too. Formerly, it is a tedious job to make a flawless cup of coffee. But technology has reduced our hardship by this incredible invention. In fact, just by one touch of a button, you can get your most favorite coffee from our automatic coffee machine. There are several types of automatic coffee machines in the market. So, choosing a specific super coffee machine among them is simply overwhelming. Moreover, if you are a new user of it, there is a maximum possibility to choose the wrong one. Best automatic coffee machines have some different features & characteristics. If you are well known about that no-one can cheat you with their non-quality-full product. Sometimes you can feel awful observing that some machines are really good in case of their external features, but the internal setup is so poor. So previous knowledge or experience is very important in this field. So, here we are providing you a proper guideline which will fulfill your lacks. Finally, you will get the whole knowledge about the best super automatic coffee machine. These are promised to give your coffee from bean to cup. Maintaining refreshment is its first priority. Moreover, we are concerned about your need. And we also do evaluate your feelings & trust. So let’s see the nitty-gritty of this super automatic coffee machine for better understanding. This machine is from the Delonghi brand. It has the capacity of making milk frother. Its height is 351 mm, depth 238 mm, width 430 mm, weight 9kg. It has also the beans grinder. Above all, it has auto power off safety feature with energy saving functions. This product has super electronic temperature control system with the balanced dispenser for different cup sizes from 86 mm up to 142 mm. All the features of a full-size coffee machine are present here, though it may seem compact in size. There are built-in water filtration system & the patented cappuccino system. This outstanding combination of feature can help you to get perfect latte & cappuccino. Moreover, you can get super creamy froth with the mix of steam and milk. The best thing is that it can save up to 77% energy & saves your money too. Surprisingly, this fantastic auto coffee machine consumes the only 110V. Taking the same aroma of coffee every day is quite boring. We need newness. Consequently, I usually treat myself with innovative flavor every time. Here DeLonghi ECAM22110SB Super-Automatic Espresso helps me a lot to get a perfect cup of coffee in different taste. Finally, it brightens & enthralls my day. GIGA 5 is an innovation in the commercial automatic coffee machine world. It shows professionalism as well as perfection. GIGA 5 can fulfill the highest level of demand for people about the super automatic coffee machine. You are going to be happy to know that, surprisingly, it has two grinders, two heating systems. These systems produce a lot of heat & steam. But there is nothing to get worried. As it carries noticeable fixed Venti Ports machine to supply fresh air with an electronic ventilation system, it will give you two types of specialty coffee at once. If you are a coffee lover then it will fulfill your every dream. TFT display is its specialty intuitive control concept. You can easily operate the machine with super easy button settings. These features will help you to get the beverage within a short time as you want. Now you can serve a delicious coffee easily to your friends & guests. GIGA 5 Jura automatic coffee machine will make you a professional barista undoubtedly. So, get a hurry & go for it, dear. It has an elegant look and beautiful feature. First of all, this machine is made of stainless steel. You will see an additional steaming boiler here which can create a Rapid Steam. Similarly, it can sort out extra steam & help to keep the balance. Here you will see the LCD display. Even more, you can get any quantity of coffee by three buttons set for brewing. It’ll understand your choice & add something very special in the taste. You can change the settings as you want. There are several control options. Now I will tell you a very interesting part of it. Here you can use your pre-ground coffee to the bypass way to have a different taste. I hope you will enjoy that. Therefore, it will add a new dimension to your everyday monotonous routine. It’s very easy to maintain. Just a single touch, you can turn on or off. By this super automatic coffee machine, you can make a more aromatic cup of coffee. Even more, it can provide hot water for other drinks including steamed milk for hot chocolate. At your home, you can enjoy cappuccinos & lattes also with this in a short time. It has beans grinder where you can get the awesome taste of fresh ground coffees. Every user is crazy about it. You can get the cream with it. Actually, there is no better choice for espresso than the DeLonghi PrimaDonna ECAM28465. It will give you a quality drink. Giving sophisticated & delicious coffee is its nature. What do you think? Maintaining all these qualities is a very tough job. Nope, not at all dear. It will be so much easy indeed. With just a single push of a button, you can serve your favorite coffee. Above all, there is an integrated frothing system. It can balance with the right amount of steamed milk and brewed coffee. Here is a thermal block (duel stainless steel-lined) which can also supply the power of steaming & brewing. You can easily operate this machine without any a headache. Above all, it will give you an awesome barista-quality espresso with better quality. This is also a super automatic coffee machine. It is well designed with the small form factor. It is very suitable for any kitchen countertop. If you want a classic Italian espresso, this high-end machine can provide you easily. This simple, compact & futuristic machine is easy to operate. There is a most important setting indeed. Don’t go on its simplicity as it has a reputable quality. Personally, I’ve got expected features & services in it. That’s why I will recommend this super automatic coffee machine to every coffee lover. When you will fill the hopper with bean and water reservoir, the machine will give you ground, brewed bean with a single press of a button. Here you have to froth the milk yourself as Brera has no option of frothing. But it has water steaming system which helps to make your milk froth. Thus, you can control the foam thickness & heat level of the milk. It has pre-infusion brew technology. So this system helps to get more taste & aroma. Providing high-quality espresso drinks, it can reach on the top chart of your choice. For that reason, it is the highly recommended one. Do you take coffee several times a day? Do you like to explore the different aromas of espresso coffees? If yes, then I believe you are a true coffee lover. For an espresso lover like you, buying a high end espresso machine could be the right decision then. The machine helps you wish to enjoy the delicious coffee yourself at home, as well as it saves you from the extra cost. I believe that at the end of this article, you will find the perfect espresso coffee machine along with the list of fun tips for you. So, stay with us until the end. There are 2 types with 3 categories and few brands are given below. Early espresso machines were operated on this steam-driven process. Some of these are still around. Its steam pressure system gives the force of water to grind coffee. It does provide a strong coffee with a burnt flavor. Above all, this steam driven machine is cheaper than the pump-driven machine. If you are a real coffee lover on a tight budget, we recommend you to buy this one. It is called semi-automatic because of its operating system. Most of the steps are needed to do manually. Only a few are automated. Most of these types of machines are worked by Easy Serve Espresso Pod (ESEP). That has port filter baskets which pressurize and continuously brewing coffee. It has auto temperature pressure systems on water. The steam, pump and water flow are adjustable. That can be controlled with user preference. If the person has barista skill; who want to acquire his favorite coffee shop’s flavors at home can go through it. 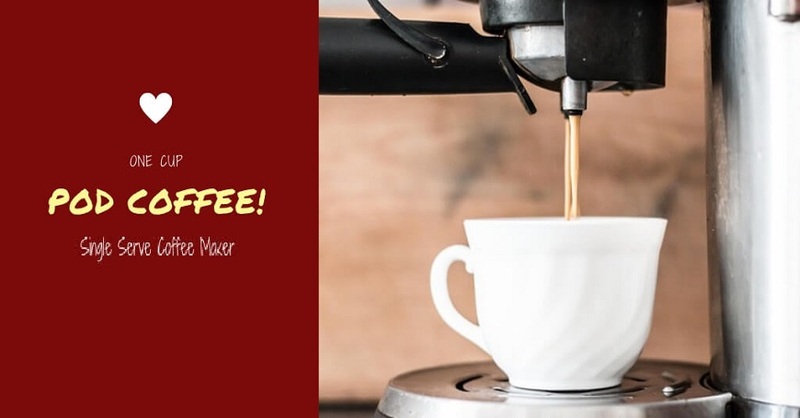 Someone with barista-like skills would also like to taste the different flavors of coffee by using the best home espresso machine that grinds beans. The automatic espresso machine is best for them. This machine is for those who spend a busy life and want to drink a quick espresso on the go. A Nespresso machine is famous to the consumers, because of its compressed, user-friendly, auto control and straightforward system. There are two types of device found in the Nespresso machine. the most seen categories of Nespresso machine. It is compact but user-friendly. If you are looking for a handy high-end original line coffee maker. It is perfect for making espresso and other regular coffee as well as others. In a word, it is very simple to operate the best home espresso, maker. to get a perfect and excellent flavor of all shots of coffee. We are here to help you to buy the best expresso machine. This is one of the Steam Driven Espresso Machine. Using this coffee machine, you will get dark and rich espresso brew. Its frothing gives you the creamy milk foam on the top of your cappuccinos and lattes. Beside this, at a time it’s giving up to 4 full cups coffee at a time without refilling water. Also, this model has an easily removable and washable drip container. Breville BES870XL is the Seme-Automatic Espresso Machine. Its 15 bar is the best Italian espresso machine. It has the heating system of 1600WT thermos coil. It also has the 2-liter removable water reservoir with handle. Identically it has 0.5lb capacity 110 – 120 volts sealed bean hopper. It has adjustable water temperature too. In brief, this Breville BES870XL is the best choice of super value semi-auto machine with grinder. You can use whole coffee beans for freshly grind coffee to brewing delicious espresso coffee. Here you find all the features in a single espresso machine. It is one of the perfect espresso makers with lattes and cappuccinos for its milk frothing systems. Otherwise, you can also say it Americano coffee maker for its hot water dispenser. You can also make tea with it if you wish. It includes a water reservoir; for both single and filter basket. It also has measurement scoop and tamper. You need to install the internal sleeve manually in the correct way by protruding the lower part of the outer sleeve. Do you have time to show your barista-like skills to get the best taste, quality, and flavor from your coffee maker? 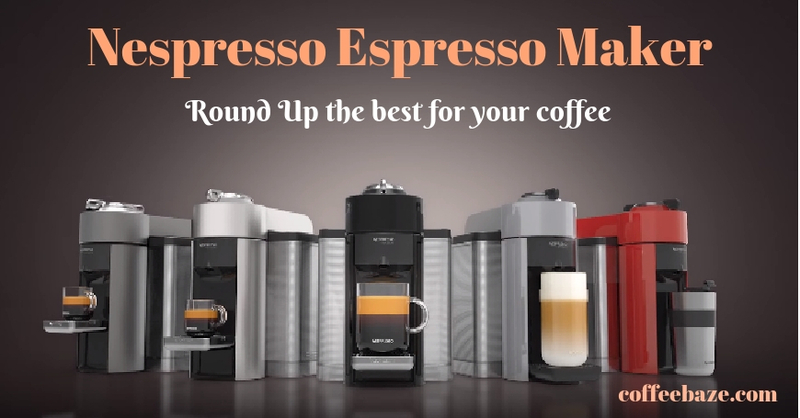 Then consider all things, these semi-automatic espresso coffee maker brands are perfect for you. You will get the final touch to buy a high-quality grinder with it. Delonghi – Magnifica ESAM 3300 is one of the best Automatic Espresso Machine. It is the best cappuccino machine for home. It has a frothy; which can make rich and creamy milk froth. It has beans container where instantly burr grinder grinds beans. Also, it’s a rotary, and push-button control panel makes it user-friendly. Jura 15068 Impressa C65 is a platinum color smart Rotary one-Switch operating system. This super automatic coffee machine not only espresso maker but also a latte maker. It has an adjustable coffee spout with the superfine milk foam frother system. You can use this foam the top of the Cappuccino and Latte coffee. It has stable dimensions and an inflexible element with the combination of prominent clean lines. It is the best-selling homemade coffee machine. It’s a Cadillac of single-serve espresso coffee machine. A coffee lover who would like to have a coffee at any time can go for it. Because of its small and portable nature, it is easily adjusted in any space of your interior. Inissia has a big water tank which helps to make almost eight espresso coffee by using two types of adjustable small and big cup within 25 seconds. It also has 10-16 capsules. In conclusion like to say that, you are only able to prepare the regular coffee and espresso by it. 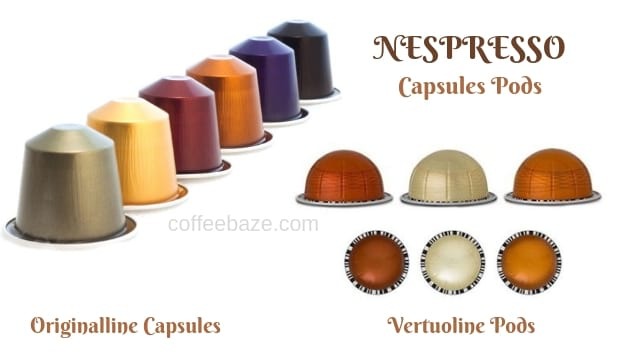 Nespresso VertuoPlus is one of the best vertuo line personal Coffee and Espresso Maker. It is very simple to operate. Also, the large water tank can make 18 – 20 espresso coffee at a time. Also, it has 20 capsule capacity trays. Especially its auto-off system is a high energy saver. It is easy to set up at any place at home and apartment. Above all, this machine is convenient for barista skill persons. Are you busy in life and give priority to the experience? Then these super automatic espresso machines could be the right choice for you. Above noted, all things considered, now you get the final decision to buy your best personal home espresso machine. 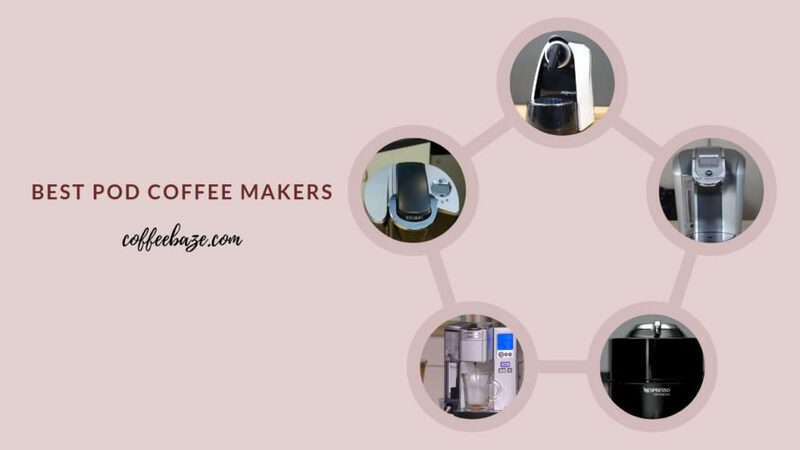 As a beginner or an expert, it is equally important to know the list you can prepare by using this coffee maker. When you brew different types of coffee in your regular coffee machine, then it will be a barista expert coffee machine for you. Here is some list of barista experience fun for you! Cappuccino is the Italian origin espresso-based coffee. Overall it contains from bottom to top 1/3 cup of espresso; 1/3 cup steamed milk and 1/3 milk foam. You can sprinkle chocolate chips or cocoa or cinnamon powder on the top hence to get the look and flavor of coffee shops. In a word, Cafe Latte is based on 2/3 of heated milk, 1/3 of rich espresso, and 1cm milk foam with or W/T latte art. Café Americano is a more prominent cup of 110ml, or latte mug is 2/3 of hot water then pours 1 shot of espresso. It is containing less milk then more foam with the same shots of rich espresso-like regular cappuccino. Breva is an American variation of latte. It makes by half steamed, and half heated milk or cream then pour by milk foam slowly pour rich espresso then put more foam on the top. Mochaccino is same as regular Cappuccino. Only adding chocolate syrup together with cappuccino gives the specialty of Mochaccino. This Cafe Macchiato has another Italian name “Stained coffee” means coffee with a spot of milk. Use a tiny amount of milk (ratio of 1:4) in an espresso. It is an Italian coffee. It’s another name is “Cream with Espresso.” It can make by both the double or single shots of espresso with the whipped cream topping. Frappe is the origin of England made by the combined of cold espresso with ice and milkshake. Generally, this Hammerhead coffee is a robust and delicious espresso coffee made by the fresh grind coffee bean. It is brewed by one-shots of espresso filled by a cup of dripped coffee. During the daily working days; sometimes, we face a dreary afternoon or sleepless twilight’s. Then a cup of exceptional self-made coffee will be enough to enlighten you. you can brew it by your high end espresso machine. V. How does the Label/Tag help a person’s? One of the common mistakes made by the unaware customers is when they look for the “Best”; “Better” or “Super” labels’ or Tags in the coffee machines. Basically, they think these Tags are to show the difference in quality between the various brands of espresso coffee machine, That’s are know as high end. Moreover, this tag is not used to identify superior brands. It is to find the one which suits you. Hope this article will help to find out the best home espresso maker together with the barista twist for you. In summary, we can say, for a yummy coffee we need to depend on a quality brand coffee machine. Only an excellent high end espresso machine can provide you with the real taste of your coffee beans. As well as, a wall vacuum insulated coffee carafe is able to hold the optimal temperature, without conceding the savor and taste of coffee for hours. 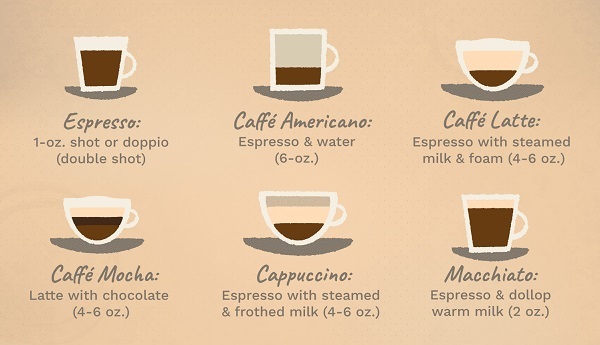 So if you are a real coffee lover, I would suggest, you might rely on the above coffee machines. So, Last but not least, I would like to say that, maybe these are not 100% perfect, but all of them are user-friendly and takes less from your pocket. Coffee grinders and brewers are for those people who like to make their beverages 100% perfect. Most of the people don’t rely on handy bottle coffee. To have satisfaction, they grind their whole beans coffee to brew delicious coffee. The best grind and brew coffee makers produce the fresh flavor of coffee. Whereas, capsule coffee or instant coffee grounds cannot provide that taste. Here I will be talking about some best grind and brew coffee makers. So, before purchasing, we need to focus on some questions. What is the best whole bean coffee maker with grinder? What is your budget and the plans to use this appliance? So, there is a list of features you have to remember. The total size of the appliance. About the time it takes. Automatic shut off or not. Whether it has ground settings or not. I have provided some information about coffee maker with grinder reviews which will narrow down your search. The Breville Grind Control is one of the best coffee makers with grinder. If you have a goal of brewing a cup of perfectly balanced coffee, this machine will not compromise. It is a very efficient, simple and space saving. Hence, the most important feature is its six different burr grinder settings. Additionally, it is significant to keep two functions together which is grinding with brew settings. Moreover, it allows you to calibrate your brew depending on how strong a cup of coffee you desire. It has a “steep and releases” system which is very innovative. That is why it is known as the best coffee machine with grinders. Options are available for brewing a single cup or 12 cup carafe. 6 adjustable burr grinder settings. Cleansing system may be little annoying. Grinding feeding system is inconsistent. Globally, Cuisinart DGB-900 BC is one of the most well-known brands for its whole bean coffee maker. Durability and easy to clean are the specialties of this brand. Cuisinart grind and brew coffee maker is so reliable that this machine becomes synonym of trust. It’s another key point is you can keep up to 12 cups of coffee in its thermal carafe. This coffee maker itself is a coffee shop. You have to pour the coffee beans into its hopper and adjust the timing you need. Then the rest of the tasks will be done by the coffee machine. According to your need, you can adjust the strength of your cup of coffee from strong to regular. About a half pound of whole coffee beans can be held in this bean hopper. And then grind it according to the amount of cup you need. DeLonghi ESAM3300 can produce delicious espresso, regular, cappuccino in a snap. It is also a marvelous looking machine and an adjustable integrated conical burr grinder. This grind and brew coffee maker is capable of grinding coffee bean from coarse to super fine. This machine includes the milk frothier system. Hence, you can design the coffee by using the milk-foam. This machine has also a cleaning indicator which helps you to clean it on time. Offers a various range of drinking options. A little bit of expensive. Black and Decker is a famous manufacturing company of power tools. Surprisingly, many people don’t know that now they produce the best grind and brew coffee makers too. The most interesting thing is its low manufacturing costs. Although the excellent assembling parts of this machine give the outstanding performance. It has a permanent filter which is easy to remove. It refers that you can use the whole coffee bean as well as your own coffee grounds. Furthermore, it has features like 24-hour brew timers, automatic switch off and LCD display. whole coffee bean or grounds both can be used. Little bit complex programmable for the new user. The KRUPS EA8250 Espresseria coffee maker is a fully automatic coffee grinder and brewer. It has a nice compact size and design too. The size and style of this machine is another good thing. This coffee maker consists of the narrowed burr grinder. It can ground bean finely for espresso and also has exhausting thermo block machinery. It adjusts the water temperature up to optimal coffee temperature levels. Some other features like an LCD screen, coffee size and so on. It has a huge 60-ounce water reservoir. Besides, it has bean size detector. It has 15 bar pressures. Also has a removable tank of water. Detect coffee bean size and type. Notably, it is difficult to pour water. The specialty of this stainless steel coffee maker is its conical burr grinder with the thermal carafe. This is one of the most popular grinds and brew coffee maker. Additionally, it consumes very less space. Also, it has an adjustable program. You can adjust the coffee quality with the brew strength from strong to regular. Stainless steel with durable body. Drip when it is poured. The grinding process is a little bit of long and loud. Bean container is small in size. The Breville BES870XL is an espresso machine that has all the features you expect. It is stylish and has an integrated conical burr grinder. Furthermore, it has others features too which will satisfy you. It has programmed button for either 1 or 2 cups of coffee and also customizable. This machine has other features like pressure gauge, dedicated water spout, removable 67-ounce water tank. It is quite grind and brew coffee maker compare to other machine in the market. Breville grind and brew coffee maker is very popular among the people, particularly the homeowners who find many benefits.This is one of the best coffee bean maker machines. It is all in one coffee maker. Huge size of removable water tank. Another key point is it has a 1600 watt heating system. Henceforth, it may be a little bit noisy. All of the above machines are the best models. There are some more models of coffee maker are available in the market. Those are also high in grind quality. But here I have mentioned truly the best among of all models. If you are a technology lover, you should go for Capresso 465. For the ultimate in personalization, Cuisinart DGB-900BC is best. Furthermore, Black and Decker CM5000B suitable for economy budgeted people. But, who are not concern about the budget, they can buy DeLonghi ESAM3300. Breville BDC650BSS is also good in many ways. Each and every model has some uniqueness. So it depends on you. Start your day with a cup of freshly flavored and delicious coffee and burn the exhaustion. For a coffee addict, a cup of perfect hot coffee means a zestful delight, and you can drink like passion. If you want to enjoy fresh and special coffee at home on a work-off day or a quick hard coffee on a busy day, then the best cup coffee maker is the best option for you. We have done dynamic research to figure out the real features, exact prices, and real usage. 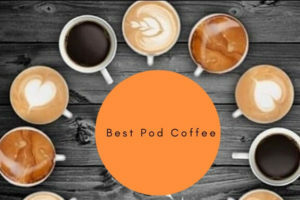 Here we are going to brief 5 best pod coffee makers, with divergent features for different customers of contrasting need and budget. Keurig is the mainstream of household appliances; it is a universal up-to-date brand too. Among them, the Keurig K575 is a multi-functional coffee maker, which you can use as the best option. Which coffee maker makes the best tasting coffee? perhaps you can get the answer here. The first amazing thing is the contrast material of both parts of the water reservoir. The external part is of BPA free plastic, and the internal is stainless steel. Another part is that it is detachable, making it easy to fill the water as frequently as many times as you want. The Zumbo size digital clock color touch screen is very user-friendly. The auto turn-off option can let you operate the coffee machine of your choice. This helps you do the task without spoiling your sleep. You can cut your power bills by this procedure too. The product is not noisy at all. You can get five different types of texture and taste of best tasting pod coffee as well as other hot beverages. And you can achieve 5 versatile sized coffee pots, to meet different quantity-like of the users. Along with the K-cups it provides the K-carafe pods too but is sold separately with extra. The coffee brewing method is the best for this machine. One problem with this top single serve maker is similar to other Keurig. It has the sensor to identify the cup or pod, so you can not put a customized or regular coffee pod in that machine. The solution is here too, just take out the foil lid of Keurig from the available cup and use it with the regular ones. It is one of the best pod coffee makers. So, keeping these points in mind, I think this is very good and easy to use the personal best pod coffee machine. It can let you make instant coffees with divergent taste. Keurig is the pioneer in the market of coffee maker especially the K-cup. It is the product of a reasonable price and multi traits with the highest opportunity. It is the simple coffee machine with effortless operation. Just fill the reservoir, put the single serve coffee pods and choose the brew size by handy control and take the coffee out in 60 sec. The water reservoir of the capacity of 49 Oz is detachable. It is washable too, to maintain flexibility. The single cup brewer is provided with 4 different size coffee pots or cups. Overall it can brew 6 cup coffee or any other hot drinks. The auto programmable function is very effective with flexibility like other Keurig products. These all are the best products to buy in Keurig line. And consumer reports on best K cup coffee maker are applicable for this. The only problem is that the brewed coffee can leak from the tube if it is excessively used for long years. But the solution is here, just replace the tube. To put forth all the things, we can accept it as the most reasonable single serve maker in the line of the Keurig. But you have to drop the hacks and can leave a good review for overall performance. Single serve coffee maker review depends on the real uses of the maker with pods or with best pod coffee maker no pods. Sometimes you want to have a full mug of unblemished Barista-like coffee beyond the regular ones. You have to thank the De’Longhi, the best single pod coffee maker then. It is a very smooth and light weighted Nespresso like machine. It operates just in one-touch operation. The distillation system is absorbed where the pressure is very high up to 19 bar pressure. The fast heating process helps to warm up the Nespresso like machine within 25 seconds. And thus it helps to make 9 cups of coffee without refilling. The folding drip can help you to settle larger cups, and it is auto functioned to drop down after finishing. The auto-switching option after 9 minutes helps to save the power. Each machine is accommodated with 16 capsules of unique tastes and aroma. So you can enjoy the coffee at your highest level of zest. Cleaning the brewer is not a big deal. You can clean the reservoir once in a week, and you can use a filter to the brewer for minimal scaling. But the problem occurs if you are on a tight budget. Then the capsules seem to be heartbreaking to you as they are of the expensive budget. But in spite of espresso Delonghi, you can use the capsules of third party cheap ones. You cannot use the Keurig K-Cup in the Nespresso Coffee maker. Above all, if you are fond of drinking regular coffee, then it is not the best choice for you. The person, who prefers the espresso coffee, yearns for this. Here comes the coffee maker of the huge serving facility. It is the broad choice for different types of perfect hot drinks. The Cuisinart is the best support for you on occasion or the sudden arrival of many guests. It is not time-consuming, as you don’t have to refill the 72 oz removable water reservoir. This includes 5 different sizes of multiple brew cups. The cups or the pod coffee pots are for different choices of flavored instant hot drinks; not just coffee. You want to enjoy ground coffee of your own choice, no problem; this also has the solution. Use the reusable filter to brew your choice of coffee for the single serving. The hot water button saves your time to heat the element with one touch in a minute. Another striking facility is the rinsing facility. It accurately cleans the leftover coffee. Thus the maker helps to enjoy a more different taste without mixing. The cleaning procedure is also made easy by this trait. Another facility over Keurig is that any regular K-Cup can fit in your pod coffee machine, so in other words, enjoy your own choice. One problem is that the brewer timing is a little higher than those of the other single-serve brewers. And another is – a little splashing of the coffee during operation. You want to serve a big chunk of people with the single person serving with a different flavor. Then Cuisinart SS-10 is the best choice for you. Mixpresso single serve pod coffee machine is the fast brewer with which yuu can brew single serve regular coffee or espresso within 30 seconds. You can enjoy whatever the beverages are hot water or tea or coffee or milk. It has an attached reusable filter with 45 oz water reservoir by which you can brew 6 plus cups of coffee withour refilling the reservoir. It has the auto function to shut off automatically and can brew coffee with a single button pressed. If it is not active for more than 2 hours then it shuts of its own. Any types of K-cups pod formats are compatible to this one cup coffee maker. Otherwise except k cups, the only mixpresso single serve cups are handled. The size of it make its convenient to travel with having it, one of the amazing traits of coffee maker. The cleaning procedure is also hassle free because of its removable reservoir. Washing the pods is just the cleaning task beyond the reservoir. On problem is that the auto function, one single button can make the novice coffee brewer person puzzled. Then if you prefer some portable idea of coffee maker, make a choice for it. All of us definitely prefer both the brewing system in the same package. And that we can find from the Hamilton beach single serve maker, one of the top rated pod coffee makers . You can enjoy both textures in different moods of a day. The outer part of a machine is made up of stainless steel. The material is long lasting to hold the machine for a higher period of time. A built-in stand of the coffee mug is also available, and that is adjustable for different sizes of the travel cups or coffee mugs. The most interesting and useful feature is, it can provide you with both types of coffee bold and regular. With the bold brewing option you can have stronger coffee and with the regular option of brewing, you can get the standard coffee. Another amazing fact is that you won’t feel the necessity to have Hamilton beach single serve coffee pods or cups because the maker as the facility of single serve scoop filter. Moreover, it is a great alternative of expensive overall good quality coffee maker. You can make a great variety of flavors using every type of ground coffee, including premium and decaf coffee. In terms of using whole ground, you have to grind those in fine texture. There is no much Hamilton beach single serve coffee maker problems. But sometimes the coffee splashes out of the brewing basket. So the fruitful solution is using lesser ground coffee. If you want to get both the regular and bold coffee in reasonable price, then go for it. Oh, you want to relish two in one serving coffee maker to brew both coffee and espresso. Then the Nespresso VertuoLine Evoluo is the best type. Espresso is the preeminent brand in the coffee world for its authenticity. Additionally, the price is high too. It is the best pod espresso machine. This pod maker has the contrifusion extraction technology where blend specific capsules are used. The small one is for espresso, and the large one is for coffee. The maintenance of the capsules is truly easy. But it fits the specific Vertuoline capsule only. The different 13 to 20 capsules can help you to brew contrast flavor of coffee and espresso. The machine automatically shuts down, if it finds itself inactive for 9 minutes. It heats up in 15 seconds to make it the effective and efficient to brew instant coffee. To brew perfect coffee, you can add a Nespresso Aeroccino Plus milk frother separately. By this, you can prepare a hot or cold drink with one touch. Many say that Nespresso is not good at making regular coffee. But that’s not the reality; you can make favorable Coffee on this brewer. The overall function and maintenance procedure is a little bit complicated. So the user should gather proper knowledge and idea to overcome troubleshooting. So, if you want to enjoy the mouth-watering aroma and different featured coffee as well as can stretch the budget somewhat long, then this pod coffee brewer is absolute for aristocrat buyers. In the final analysis, this is the ending of the brief description of the best single serve coffee makers. Choose according to your affordability, ease of maintenance, diverse taste bud, number of people served and pod coffee maker reviews. To enjoy regular coffee on the different strength you can pick the Keurig K575 Single ServeK-Cup Pod. If you want to stay on a limited budget and simple and effortless maintenance, then the Keurig K55/K Classic is the best for your good reviews. Enjoy just the espresso on lowest cost with Nespresso Inissia Espresso . Want to maintain a restaurant or entertain lots of guests? Just search for Cuisinart SS-10 Single Serve Coffee Maker. If you want to enjoy diverse beverages during travel then try to use Mixpresso maker. If you want to enjoy both standard and exclusive coffee, the Hemilton Beach is the best option. Last but not the least, if you can afford a big budget, you can savor the different aroma of both coffee and espresso on Nespresso VertuoLine Evoluo Brewers. Does it help in your decision? Now choose the best coffee makers with pods that satisfies you and you can find the best single serve coffee maker consumer reports.